Come to the crease and get the inside cricketing scoop. Join Damien Fleming & Brad Hodge for The Duke’s inaugural Cricketers Luncheon before you head to the Australia vs India match at the MCG. 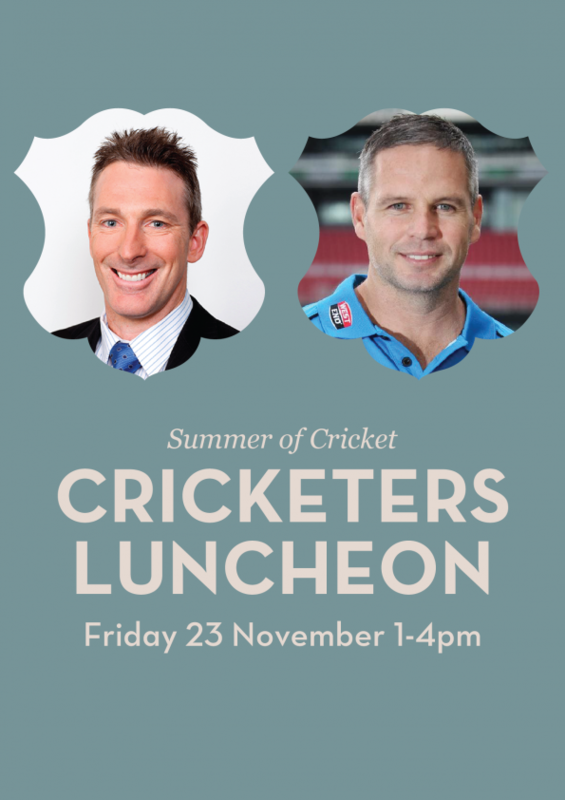 Enjoy a 3-hour drinks package and 2 course lunch while you hear from these cricketing legends. Hosted by Liam Pickering, the event is a rare opportunity to gain key insights into the game and meet two of cricket’s greatest legends. Damien Fleming made his test debut in October 1994 in the Australia v Pakistan match and was the only Australian to take a hat-trick. He then went on to play 20 test matches for Australia. He was also a vital member of the one-day international team and played 88 with 134 wickets at an average of 25.38. Known as the “bowlologist”, Fleming is an expert on the subtleties of swing bowling and bio-mechanics. Brad Hodge debuted in 2005 in the Australia v West Indies test match. In his career, Hodge has gained over 17,000 first-class runs at an average of just under 50. His focus has shifted exclusively to T20 cricket, allowing him to return to his hometown in Melbourne.